Everyone wants a house with a beautiful landscape. Having a beautiful landscape and maintaining it is not an easy task, especially in today's world where everyone is so busy. We at Corliss Landscape and Irrigation offer amazing Landscaping Services. We have been in this industry for 35 years and work alongside our clients to bring beauty and creativity to their landscapes. So, if you want a landscape that will be the talk of your neighbourhood, avail our amazing North Andover MA Landscaping Services. We provide a variety of services like lawn care, retaining walls, designing and installing irrigation systems, designing, and landscapes, Landscape Maintenance etc. We at Corliss Landscape and Irrigation believe that a beautiful landscape is a result of thorough and creative design and high-quality installation. Our designers work with clients and come up with plans which are functional and beautiful. Our skilled landscape technicians then easily bring our clients dream landscape to life. With our landscape maintaining services, clients are able to keep their landscape beautiful and clean. We as an Irrigation Company help make your side of the world greener by designing and installing irrigation systems which help save both money and water. We are also the best Retaining Wall Contractor as we built hardscapes which are both gorgeous and functional. Why You Won't Regret Hiring Us As Your Landscape Company North Andover Massachusetts? 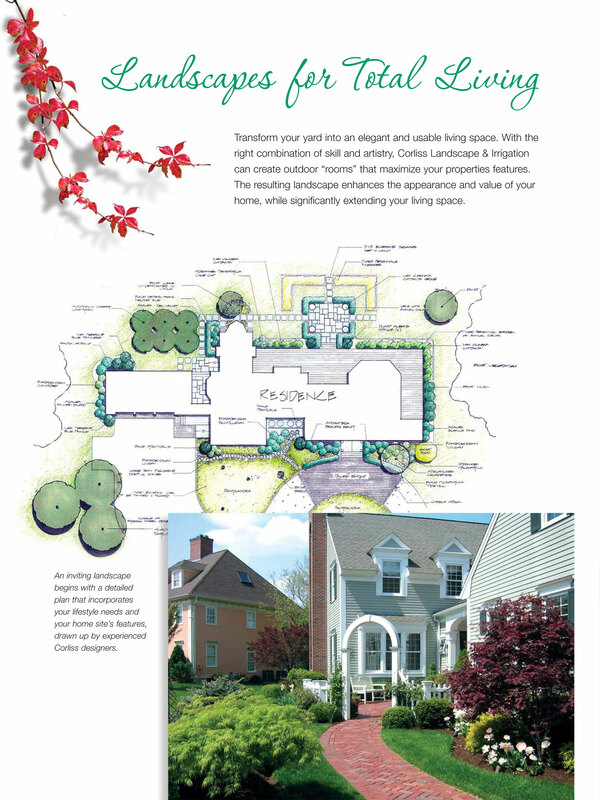 By hiring us as your Massachusetts Landscape Company you will be thoroughly satisfied. We provide amazing services at affordable rates. So, if you want services of the best landscape Company near me, call us!